For the last two days, Glenn Beck has been playing with puppets on his show to demonstrate how billionaire progressive, George Soros, is pulling the strings on an array of progressive organizations in the United States. Previously, a thorough review of Soros' life was posted here. This Review has requested an interview with Mr. Soros to address Beck's claims, but has not yet gotten a reply. The following, then, comes from the progressive media watchdogs, Media Matters for America. Glenn Beck has claimed that News Corp. chairman Rupert Murdoch "would fire me" if he was "making up lies" about George Soros. 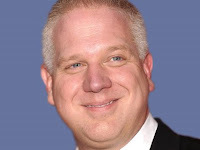 But in the second part of Beck's multi-day special attacking Soros, he rehashed falsehoods from the first day and introduced additional false accusations. BECK: Mr. Soros: Do you actually expect America to believe that I could get on the radio and television and tell wholly fabricated lies about the most powerful man on planet Earth and you would not crush me overnight? You would not have your attorneys, everything at your disposal, going after Rupert Murdoch and Fox News. Of course you would, you would do it a legal way. If I were making up lies about you, I couldn't stay on the air. First of all, you wouldn't have to pressure; Rupert Murdoch wouldn't put me on the air. He would fire me. In the second part of Beck's multi-day special on Soros, Beck reiterated several of the false claims he made during the special's first part. BECK: This, Mr. Soros, not a game. At least not for the schlubs outside of your world. I don't know anybody inside the world of George Soros. Well, you've got Timothy Geithner, you have Ben Bernanke, you have most of the politicians in Washington. We're the ones who are going to risk in this game. When he manages the decline of our dollar, him and his minions in Washington, who do you think pays the price? Will it be him? Or will it be you? You see, he knows what's coming. And because of that, he can hedge. He knows exactly where to go. He knows where the exits are. And he's done it over and over again. He will gain profit and power, and you will lose both. He's playing god, which is fine by him. Because he's an atheist, so there has to be a god who's going to fill that void. Well, he's smart enough to do it. In one transcript, he said that he was benevolent just like God, he sees the future just like God. So what does "God's" bible preach? Globalization. REALITY: Economists see broad economic benefits to a weaker dollar. Economists like Paul Krugman, Nouriel Roubini and Mark Zandi have all touted the positive outcome of a weaker dollar. Krugman said, "The truth is that the falling dollar is good news. For one thing, it's mainly the result of rising confidence: the dollar rose at the height of the financial crisis as panicked investors sought safe haven in America, and it's falling again now that the fear is subsiding." Roubini said, "The U.S. needs a weaker dollar to grow its exports," while Zandi said the falling dollar is "a positive, at least so far." BECK: Now, when you look at a charity -- this is what I learned when I started to try to be responsible with my money -- you look at people as an investment. What's the best way to invest in people? But you need -- if you're going to give away half a billion dollars every single year, you better have somebody who really knows how to manage it, and you better have somebody who has a big, big heart. Who is the person to head up your charitable arm, Mr. Soros? Well, he found -- he just found the -- I mean, he's just -- just the founder of SDS, the radical student group from the 1960s. You remember. You remember the "Days of Rage" riots? Yeah. Yeah. Oh, and the spin-off group, the Weather Underground? Yeah. Just the guy who started this stuff, that's who heads the charitable arm. REALITY: "Days of Rage" occurred nearly a decade after Neier says he lost influence over SDS. In Chicago in 1969, the Weatherman, a splinter faction of SDS, engaged in a week of violence called the "Days of Rage." But in his 2003 autobiography Taking Liberties: Four Decades in the Struggle for Rights, Neier writes that while he renamed an existing student group SDS in 1959, he "exerted little influence" on the group as early as 1960. He adds that SDS went "in a direction I did not endorse," and differentiated the group's rhetoric from his own "anti-Soviet and anti-Communist" principles. BECK: We're talking about the plan for control that George Soros uses to take control of governments. The first one was form ashadow government using humanitarian aid as a cover -- in George Soros' words, subversive activities. By the way, here's Sojourners, here's a letter a friend of mine gave me today. This is me on the cover: "Glenn Beck doesn't like us, we must be doing something right." It's a fundraising letter for this guy. Number two, control the airwaves. Is he doing that? Uh, yes! Number three, destabilize the state and weaken the government and build an anti-government sentative -- uh, sentiment. OK. So, is he doing this? Well, again, we go back to his organization -- his humanitarian organization -- heavily funds the Tides Foundation. The Tides Foundation, $4.2 million. They are the ones that funded the anti-capitalist "Story of Stuff" indoctrination videosthat we have told you that helps the kids resent the government that supports a free market system. Tides itself takes some of its money and then sends it on to places like the Apollo Alliance, the home of Van Jones. They're the ones that also crafted the stimulus bill -- you know, for the little guy, like Andy Stern. I think we know how everyone feels about the stimulus bill. The Open Society funds are only a small percentage of Tides' total contributions -- far less than 5 percent of our $112 million total in 2009. BECK: All right. George Soros has his sights on America. So how does he view us? Well, it's easy. He views us like this: America is"the main obstacle to a stable and just world order." The United States. His words, not mine. So not only does he want to bring America to her knees financially, he wants to reap obscene profits off us as well. Like when he made $1 billion off the collapse the British sterling. His claim. Not mine. The main obstacle to a stable and just world order is the United States. This is a harsh -- indeed, for me, painful -- thing to say, but unfortunately I am convinced it is true. The United States continues to set the agenda for the world in spite of its loss of influence since 9/11, and the Bush administration is setting the wrong agenda. The Bush agenda is nationalistic: it emphasizes the use of force and ignores global problems whose solution requires international cooperation. The rest of the world dances to the tune the United States is playing, and if that continues too long we are in danger of destroying our civilization. Changing that attitude and policies of the United States remains my top priority. BECK: Soros also created this, SOS, the Secretary of State Project. This is a group that is specifically designed to groom and elect secretary of states around the nation because they're the ones who have to certify election results. How do you think what's-his-name from Minnesota got in last time? Remember all that? Remember? Al Franken is -- who's this project? Isn't that weird? They're the ones that call the shots. REALITY: Franken's opponent made "[n]o claim of fraud in the election or during the recount." When the Minnesota Supreme Court rejected Norm Coleman's appeal of its decision that had declared Al Franken the winner of the of the election, the court stated that "[n]o claim of fraud in the election or during the recount was made by either party" and that "Coleman's counsel confirmed at oral argument that Coleman makes no claim of fraud on the part of either voters or election officials." BECK: Again, listen to George Soros in his own words. SOROS [video clip]: When you try to, let's see, improve society, you affect different people and different interests differently. And they're not actually commensurate. So you very often you have all kind of unintended, adverse consequences. So I have to experiment, and it was -- it was a learning process. The first part was this subversive activity: disrupting repressive regimes. That was a lot of fun, and that's actually what got me hooked on this whole enterprise. BECK: "That was a lot of fun" -- experimenting with people's lives. This is what happens when people put themselves in an elite category or appoint themselves rulers or, in his case, see themself as some sort of a god. You become a play thing and he is the all-knowing, all-seeing creator. The Anti-Defamation League's Abe Foxman has weighed in after Beck claimed that Soros helped "send the Jews" to "death camps." Foxman said that Beck's comments "were either out of total ignorance or total insensitivity."